All IDEAS entrants, if you have visual content you would like to display to generate publicity for your team as public voting goes on, there is now a Pinterest board dedicated to showcasing all teams in the Global Challenge, MIT IDEAS Global Challenge Teams. E-mail yangbodu@alum.mit.edu with your Pinterest username so that you can be added to the list of collaborators who can post to the IDEAS Board. If you are not on Pinterest yet, you may request an invite via the site itself or by e-mailing the same address listed prior. Happy pinning! This week, the Trash Into Art installation is on display in the MIT Stata Center, first floor. The goal of Trash Into Art is to raise awareness around the value of waste materials such as cardboard, Styrofoam, plastics, metals, and other objects found in a garbage can. A crucial focus is the impact of waste on marginalized people and communities. This exhibition features student artists who were challenged to collect pieces of waste for a week, and to create a thought-provoking project from materials that would otherwise be thrown away. The installation is one component of the larger “Waste: Put it to Use” Yunus Challenge, presented by the MIT International Development Initiative in collaboration with MIT D-Lab and the IDEAS Global Challenge. Published on March 2, 2011 in agriculture, conversation, design, entrepreneurship, Invention and resources. Closed Tags: farms agriculture hacking. Published on September 15, 2010 in conversation, design, development, globalization, musing and student. Closed Tags: adventure, design imperialism, development, discovery, public service. I think this affinity for adventure and discovery among students is a big part of what makes public service so attractive at MIT – its the opportunity for students to apply their problem-solving skills in very different and unfamiliar contexts that stretch their learning. 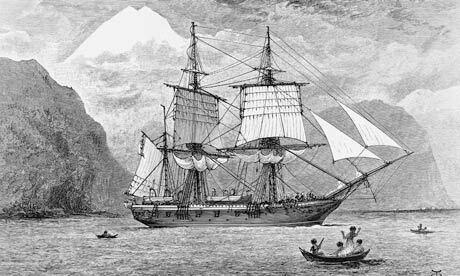 This is exciting, and it’s also problematic, and goes to the heart of a robust debate that Bruce Nussbaum kicked off a few months back on design and the new “imperialism.” When the HMS Beagle – a very adept ten gun sloop of war of the British Navy – set out on its historic voyage nearly 180 years ago, Britain was at the apex of its colonial expansion, and the voyage marked a projection of power far more than it did a scientific endeavor. Global Health “Game Changers” – But Will the People Play? Today the Huffington Post carries a story by USAID Administrator Rajiv Shah describing a new approach to tackling – and solving – development: identify “game changers” through “grand challenges.” What this means is, USAID is actively seeking out innovative scientific research and technological innovation that hold significant promise to reduce large-scale barriers to human well being around the world. By way of illustration, the authors lead with a celebration of microbicide trials. What they fail to point out is that in U.S., women’s AIDS activists have been pushing for greater access to microbicides for years; politics has been the principle barrier to widespread access in the past, not technological shortcomings. How to provide high-quality, affordable, primary health care in rural communities. So while the administration, and readers of the Huffington Post, will likely take it as a given that the public “goods” described and promoted through the “grand challenges” will be well served through ongoing innovation (what isn’t? ), much more daunting will be the necessary political will to ensure that research and deployment occurs within a lasting political framework for widespread adoption. To complicate the landscape further, the success of political action will turn on good amounts of social, cultural, and individual acceptability and behavior change – domains that have proven surprisingly selective in terms of technological uptake. Research carried out by economists like Esther Duflo at MIT’s Jameel Poverty Action Lab (J-PAL) is exciting in this regard. It has long been said that “economics” is as much about good guess work as it is about hard science. Working to understand the behavioral and environment conditions under which economic well-being does and does not flourish, Duflo and her colleagues are revolutionizing the field. For the “grand challenges” to work, it will be important to better understand the conditions under which “solutions” can be implemented successfully. Through the information collected over the years in fields such as health, finance, and agriculture J-PAL is developing an unparalleled – and often myth-busting – view of what works and what doesn’t work when it comes to technological adoption. A “disruptive” technology is hard to forecast; a “game changer” is even harder to discern. USAID’s strategy to shift the global development needle toward positive outcomes for more people would be well-served to champion not just the technologies but the political and social barriers that will inevitably impede the widespread adoption necessary for success. During the period of rapid American mechanization and industrialization – from roughly the late 18th century through the 19th century – the United States benefitted significantly from the contributions of foreign inventors and entrepreneurs. One might go so far as to say, the founding of American industrial strength out of this period was formed out of strong continental ties and a lively exchange of ideas and designs. Explicit knowledge transfer programs like worker training and study tours thrived as societies sought to keep abreast of the latest technological advances – as did less formal modes of learning, including philosophical societies and outright espionage. Against this backdrop of the lively exchange of knowledge and commerce, it comes as a bit of a shock to read the latest musing of Bruce Nussbaum, a professor of Innovation and Design at the Parsons School of Design, who mused in a recent Fast Company Design article whether “Humanitarian design is the new imperialism?” Granted, this is a line of enquiry he’s used in the past, for example in a 2009 Businessweek article when he asked whether “Green” was the new imperialism. Published on June 23, 2010 in conference, conversation, development, entrepreneurship, event, innovation, Invention, News and resources. Closed Tags: africa, makerfaire, makerfaireafrica, mfa10. Maker Faire Africa is a celebration of ingenuity and entrepreneurship across the African continent. It is inspired by the successful spread of DIY festivals known as Maker Faires across the United States (check out the latest on the New York City World Maker Faire in September). The Maker Faire Africa (MFA) co-founding team of organizers (Emeka Okafor/TED Africa, Erik Hersman/Ushahidi, Emer Beamer/Butteryfly Works, Henry Barnor/GhanaThink, and Mark Grimes/Ned/NedSpace/NedWater) seek African innovators, inventors, and makers to participate in the second Maker Faire Africa event to be held in Nairobi, Kenya August 27-28th on the University of Nairobi campus. To encourage African innovators, inventors and makers from all African countries to try to make it to this unique and one-of-a-kind event, they have some limited funds for those makers outside Nairobi requiring travel and accommodation assistance. In addition, MFA10 organizers are trying as much as they can to locate and invite women innovators and makers. They’ve found that during last year’s event in Accra, Ghana locating women makers was a challenge, especially those outside arts/crafts categories. 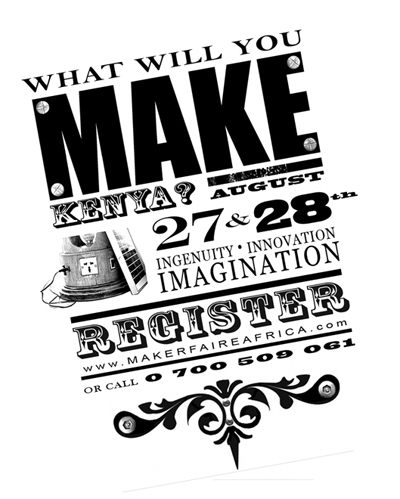 Maker Faire Africa is a free event for all invited makers, innovators and inventors. All the makers that “applied” last year participated in the event. To view some images of the event in Accra, please visit the MFA site. View the complete call for makers. IDEAS held its annual winners retreat May 25-26 at the always welcoming and excellent MIT Endicott House in Dedham. Over the course of two days, participants were asked to work with their team members and fellow winners to plan their next year of work, with an eye toward long-term impacts. 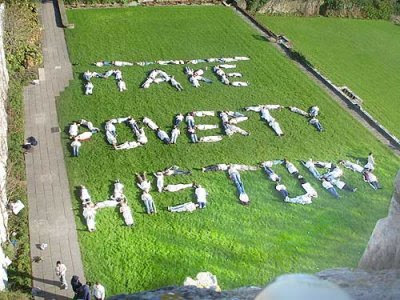 Published on November 20, 2009 in conversation, entrepreneurship, globalization, musing and poverty. Closed Tags: conversation, poverty. Always passionate, there’s a ring of clarity and urgency. This from a guy who, not even 20, founded a successful technology company and today spends alot of time inspiring others. Ryan’s young, smart, successful – he’s supposed to be optimistic about the human species and our capacity to shape the world for the better, right? So what gives?